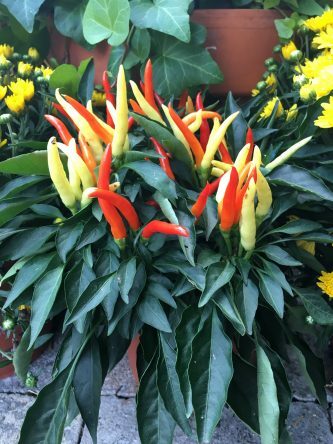 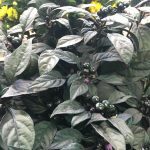 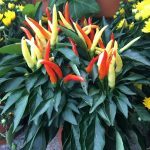 Ornamental peppers are a fun addition to pots and beds for fall color. 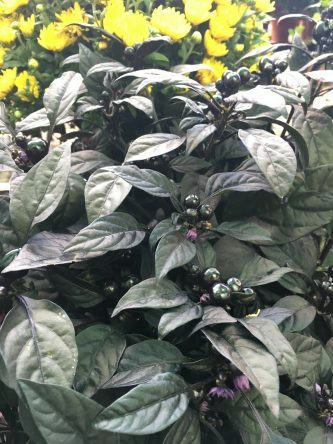 Some of our favorite varieties include Medusa, Sangria and Black Pearl, but more are available from time to time. 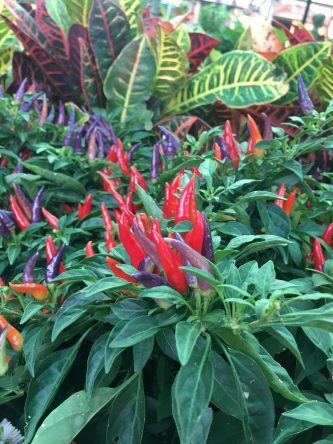 Most ornamental pepper are edible, but not particularly tasteful, but the color of the fruits make them great as color blasts. 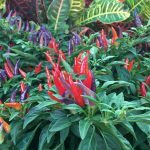 Plant individually height varies but most are 10″-24″.